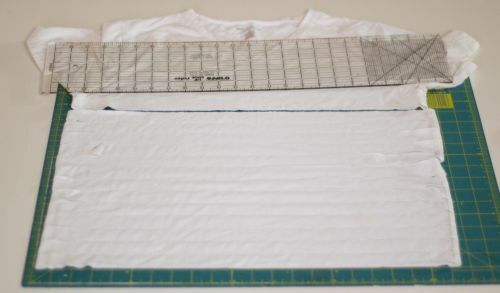 I used a ladies XL t-shirt, making the ties ~20" long (10" when folded). Then cut off the sides. 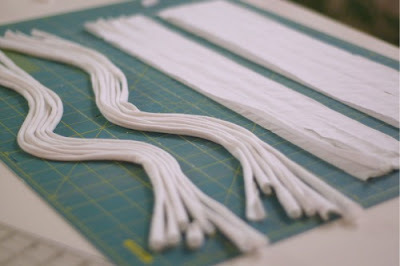 Then stretch out each strip, making it curl into a rope-like shape, and tie a knot at each end. 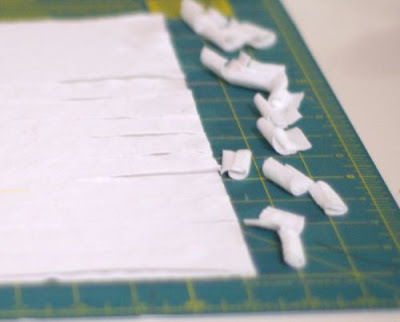 Sew the ties to the corners, long sides, and center of the sheets, making an "X" shape with your stitches to give it strength. And then did the same for the large bag. more kits & a great tip! 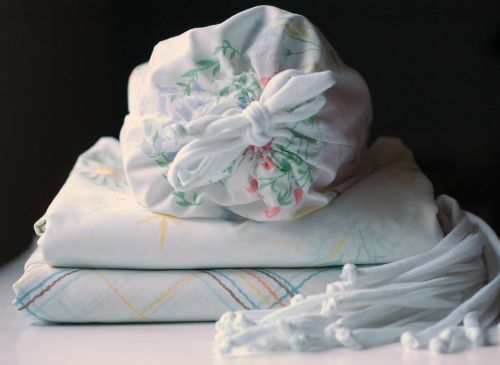 Here is a great tip from a reader: Littel Holts suggested that instead of (or in addition to) sewing ties on the sheets, create casings for the rope. Fold down each corner, and half way between each corner, about an inch, and sew. This is a simple, but sturdy, way to thread the ropes through. 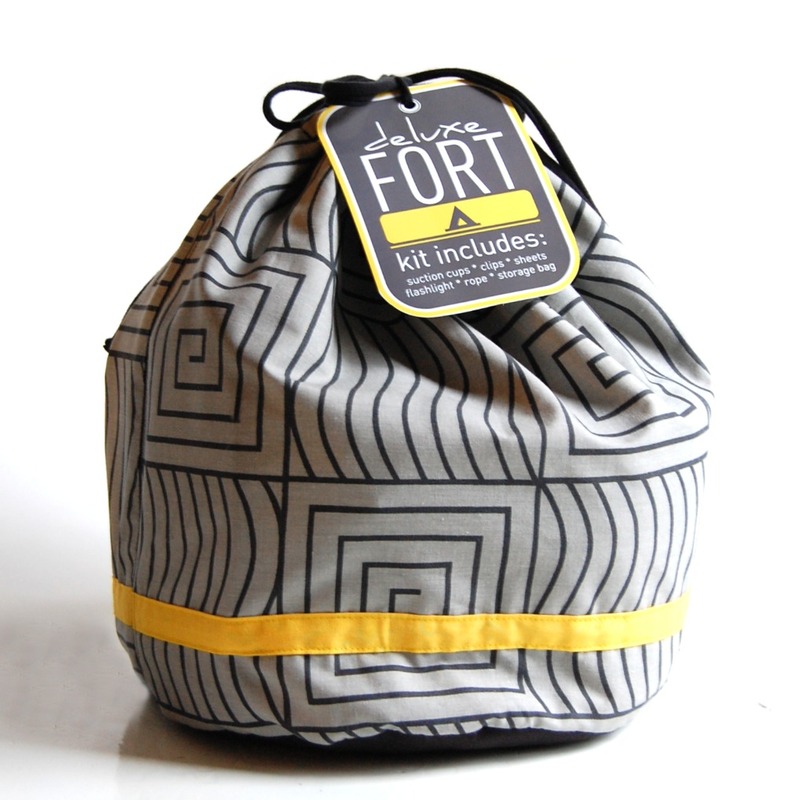 Check out the Fort-Kit tutorial at BLOOM HERE! Hi Cheryl! I have one picture, it's not great, but it will give you an idea of how they can be put together. 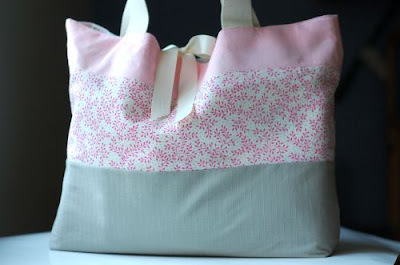 I love this and hope to make two of them this weekend for birthday party gifts. Thanks for sharing! I'm so glad to have found this again. I found it a long time ago and then forgot where I had seen it. So excited to see it again via CTB this week. I added it to my link love today. This is awesome. I just made a kit for my nephew. Thanks for posting! Thanks for checking out my blog! 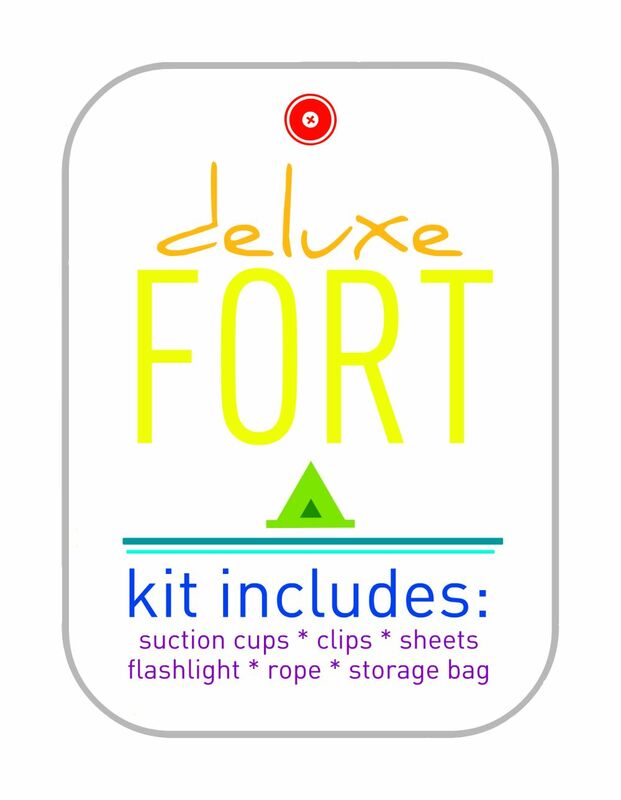 I don't have the fort kit tags for sale, but I do have a tutorial for making your own - which you can customize to match each bag/fort. 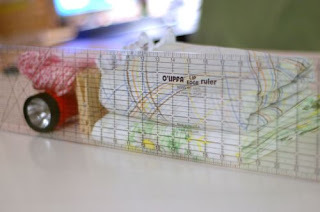 I can not WAIT to make one of these for my son's 7th birthday next month! Thanks! Hi! I just made this for my grandson - and i adjusted a few things. I made the casing at the corners, but i didn't use ties, i used velcro - that way the little guy will be able to do a lot more himself. I am so happy with how it turned out! Thanks for the tute! Love this! Thank you so much! Would love to share this on my blog, if that's ok? This is the BEST idea!!!!! Love it!!! Doing this for Christmas FOR SURE!!! Thank you!!! I love this idea!! 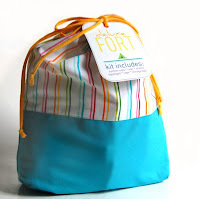 Going to make a couple for my kiddos and as gifts for Christmas this year. I love the duffle bag idea for the boys....do you know where a good place to get those are inexpensive? Thanks so much! 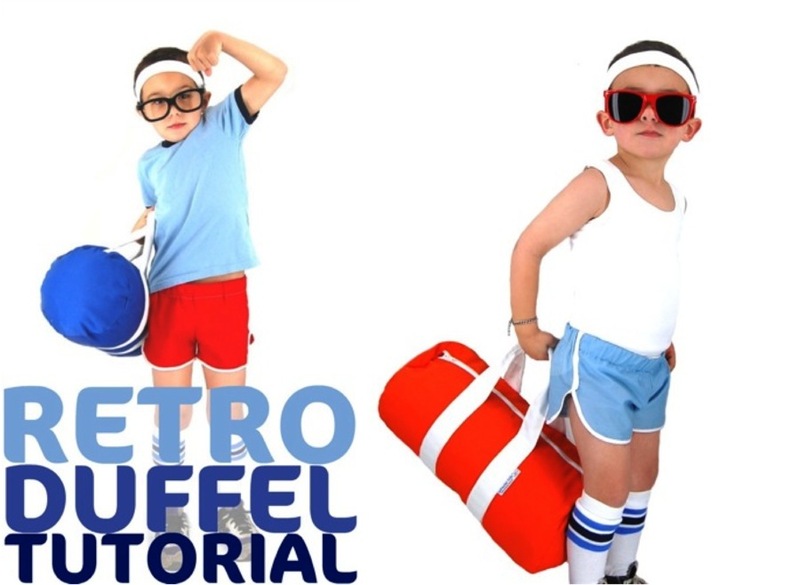 Sorry, didn't see your post on making the duffle...too cute! Thanks! Okay using the tshirt for the ties is pure brilliance. I am way impressed. I appreciate the pictures. Can't wait to try it. Thanks for posting! 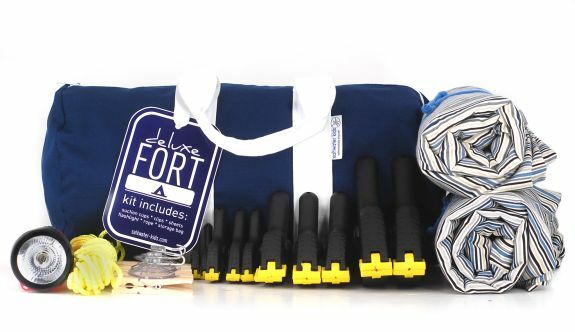 Loved your tie tutorial on the fort kit. I put a link to it on my blog. Thank you for sharing this fun idea. Ok... LOVE this idea. 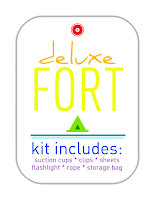 But my question is more of 'how to set up the fort?'.... Not quite sure how to make all the pieces fit together. 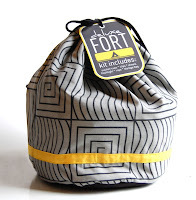 Oh, I just love these fort kits and can't wait to make one for my kids!! I am a complete beginner when it comes to sewing; one question I have is how did you make the drawstring bag? 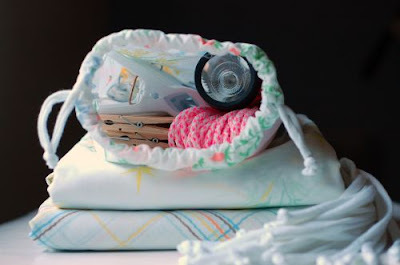 Drawstrings aren't too hard- sew a basic pillow-case shape, and on the open end, fold the edges toward the inside of the bag about 1/2 inch. 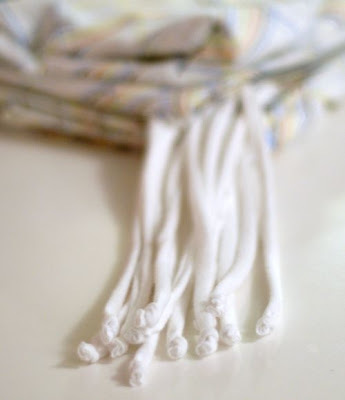 Sew them down like this, so you have an open hollow tube at the top of your bag, but make sure to leave a small slit unsewn, so that you can thread a ribbon, string, whatever through. Then just feed it all the way through the empty tube, tie knots at the ends of the rope so they don't slip through the bag, and voila! 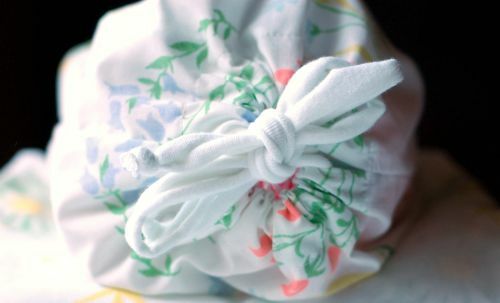 YOu have a drawstring. Hope that helped. where did you find the white clamps? 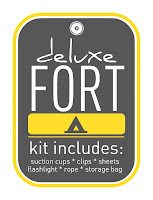 I couldnt find sheets at a thrift store & got them at walmart..for $5 each they come in a little bag that could be an accessory bag or two if you have a small flashlight. Got some cheap ribbon for the corners too. Cant wait to give it to my nephews with their DS game. Old school & new school combo! 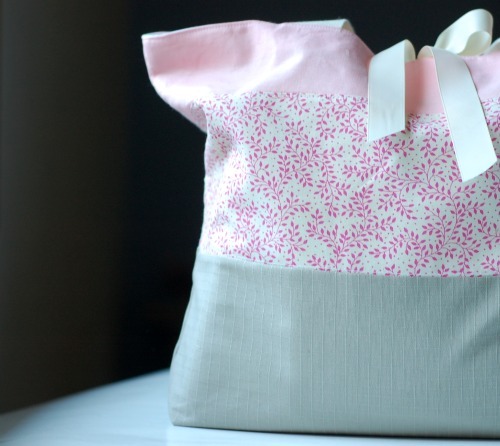 I'm making this for my nieces and nephew for Christmas. 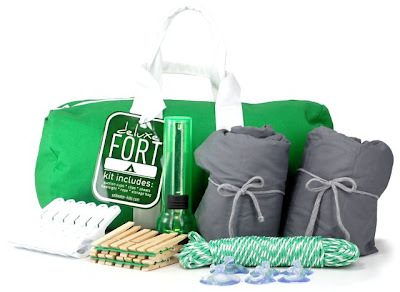 I am going to include PVC pipe that they can use as stands in theirs as they have big open areas in their house that they play in so they can build their fort there. I'm also going to put button holes every 12 inches in the sides of the sheets to thread the rope through rather than sewing ties on. The button foot on my machine will make fast work of that. Great idea! I'm a grandma and I sew all the time so the bags will be a snap for me. Won't need to cut up a t-shirt as I have tons of stuff to use for ties. How much rope did you buy? 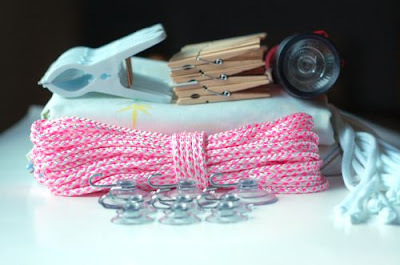 How many clamps, clothes pins and suction cups? When you used 2 twin flat sheets, is that for 2 forts? 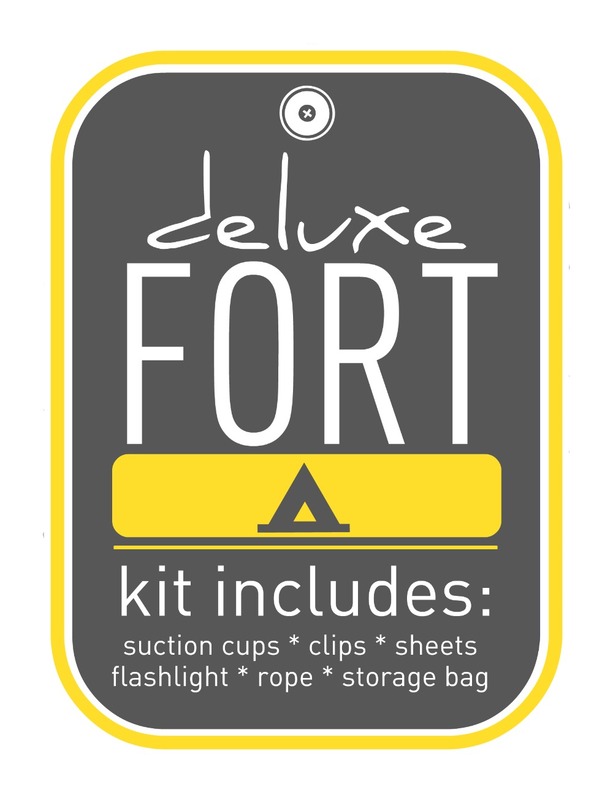 I would really love to see pictures of the fort put together as I can't picture what things in the house you clamp onto. Thank you!